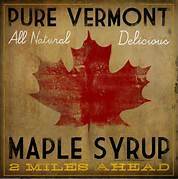 Vermont and Maple syrup go together like, well, like Vermont and Maple syrup! Come join our statewide celebration of all things maple and enjoy a 30% discount. 2019 DATES COMING SOON See the sap lines wind through maple tree stands, watch the sap boil down to maple syrup, learn how our sugar makers grade what we call Vermont Gold. Sugar makers all over the state are opening their sugar houses and filling them with treats like Maple Creemees, Maple Floss, baked treats, and more. And that’s not all! Find maple based brews, cocktails, and menu items at many local breweries and restaurants. Partners include Switchback Brewing Co., Citizens Cider, Mary’s at Baldwin Creek, and more. There are new partners everyday so check the Vermont Maple Sugar Makers’ website regularly for more information. 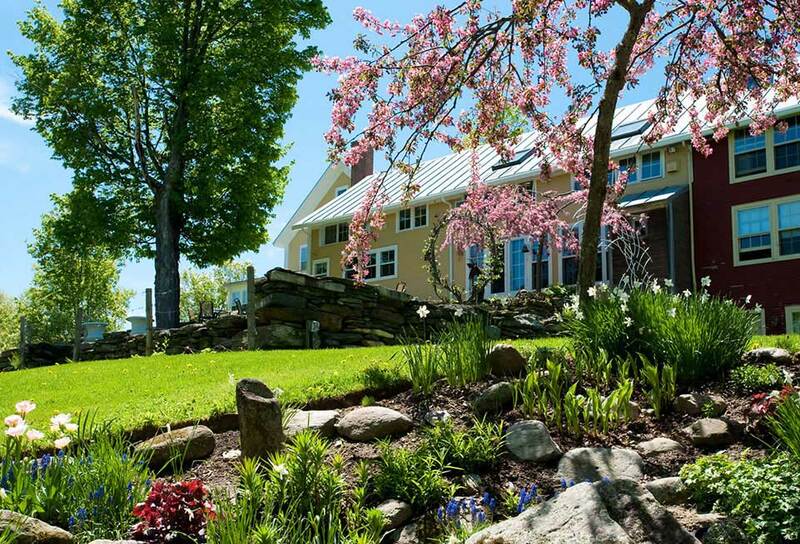 Click here to book and be sure to use code MAPLE18 to apply your 30% discount, call the Inn to book your package at 802-496-2276 or email Lodging@theroundbarn.com. 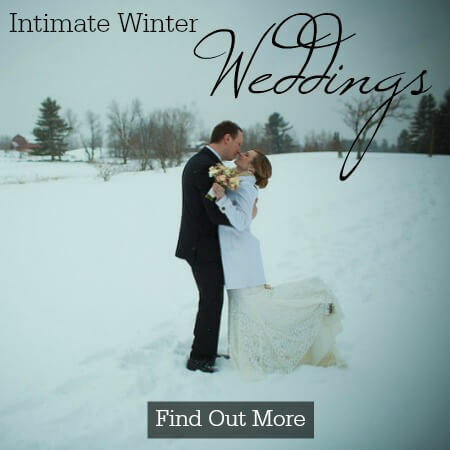 Enjoy the Vermont wedding of your dreams at a reduced rate for midweek or for a beautiful winter wedding. 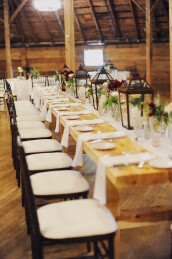 We can host up to 200 for a dream wedding in our historic, stunning Vermont barn or on our beautiful grounds. You and your guests will have exclusive access of our farm estate. Enjoy 6 hours of bliss. Choose from a curated menu of hors d’oeurves, entrees and even late night snacks. An exquisite locally sourced meal. Enjoy incredible creations from our onsite culinary team. The costs vary depending on number of guests, type of dinner service, menu selection and so on. 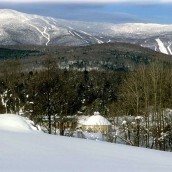 We offer a variety of lodging, dining, activity and Vermont romance packages throughout the year. Come to Vermont and enjoy the crisp weather and fall colors with these Autumn Packages! 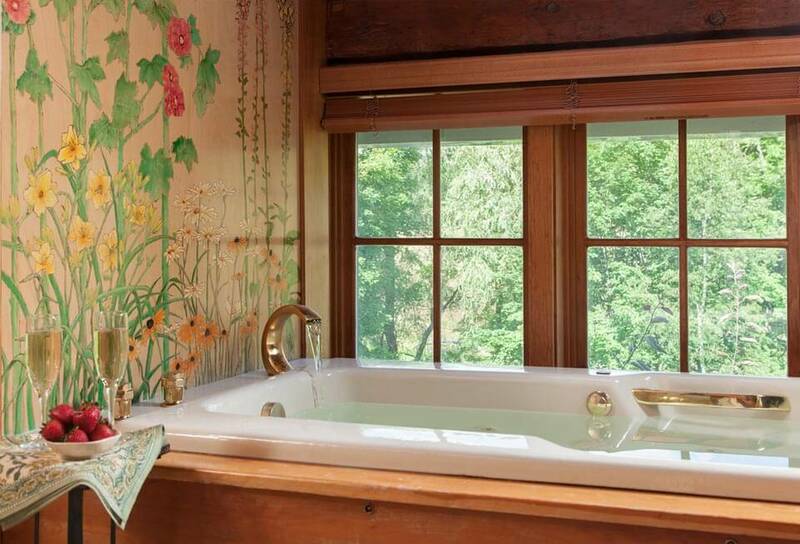 The Round Barn Farm is located in the heart of Vermont's ski country. We offer several ski packages, ranging from our “First Powder” deals to our week-long deals for the peak of ski season. 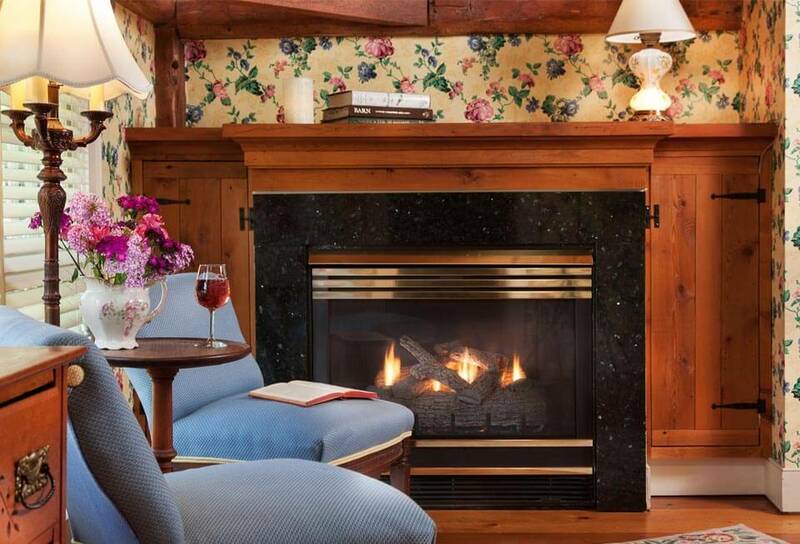 The Round Barn Farm is a proud winner of New England Travel Magazine's "Best Winter Retreat". Come join us to enjoy our Vermont snowshoeing trails. Here you'll experience pristine meadows, wooded trails and fresh mountain air. 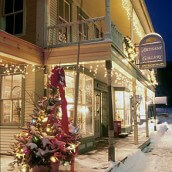 Our Vermont Christmas package allows you to go back in time and enjoy gingerbread cookies, sleigh rides and a carefree shopping experience in picturesque Waitsfield Village. As the days become warmer and bright sunshine fills the sky, springtime in Vermont brings magnificent transformation. Maple sugaring season is just beginning, and flower buds are starting to peek through winter's final snow. This time of year is explosive with activity, flora and fauna. Come join us for this special time of year! Maple Sugar Package "A Real Sweet Deal"
The combination of warm days and cold nights yields the sweet sap of our Vermont Maple Trees producing the finest maple syrup in the world. Come visit us during this "Rite of Spring". Great Beer! Great Food! Great Music! 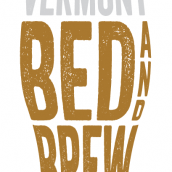 Exclusive Bed & Brew Package with Brewery Tours! 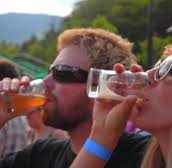 Let us help you discover some of the country's best craft beer while staying in the beautiful Mad River Valley. Vermont's warm days, cool nights, lush green fields and bright blue skies have drawn vacationers here to relax since the time of the Civil War. Plentiful with swimming holes, hiking trails, festivals, concerts, farmers' markets, and Adirondack chairs for taking in the mountain views, Vermont vacations are the perfect summer getaway. 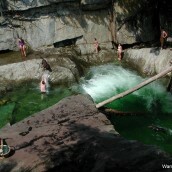 Head for the Cool Green Mountains of the beautiful Mad River Valley in the summer. In July and August, our summer temps average between 78° - 85° during the day. Please Note: For all enhancements, we ask that you order 72 hours in advance. Within that time we will do our best to meet your requests, but substitutions may be necessary. A Vermont Sales Tax of six percent is additional, and all items will be charged to your credit card upon purchase. Transactions are non-refundable in case of cancellation. A small bouquet of flowers waiting in your Vermont B&B guestroom upon arrival. Selections start at $55. We will order flowers to your specification at market rates. A selection of our favorite premium chocolates from Vermont. 8 piece selection $16, we're happy to customize a selection for you. Allow us to choose our favorite chardonnay as our selection changes with the season. Other varietals available - we'd love to customize your selection for you. Prices start at $23 per bottle. Although our wine list changes with the season, we always have a delectable red blend on hand. Specific varietals are available and we'd love to help you find the right one for you. Prices start at $25 per bottle.